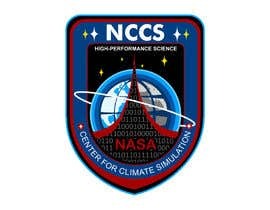 The mission of the NASA Center for Climate Simulation (NCCS) is to expand scientific and engineering frontiers by providing advanced, useable, agile, and efficient high-performance computing services. 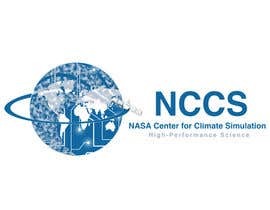 Accordingly the NCCS supplies state-of-the-art supercomputing and data services for weather and climate research, serving a user community at NASA centers, labs, and universities. NASA-funded scientists use NCCS computing systems to further our understanding of the Earth’s climate and weather and to aid in the design of future Earth-observing instruments onboard satellites. 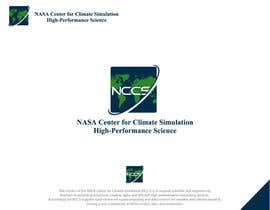 They build mathematical models of Earth’s atmosphere, land, and oceans to run simulations spanning time scales from days (weather prediction) to seasons and years (short-term climate prediction) to decades and centuries (climate change projection). 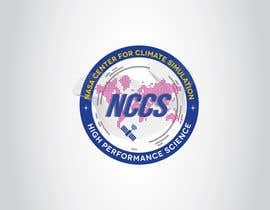 In addition, the systems within the NCCS support NASA field campaigns that study everything from aerosols in the atmosphere to intensive rain events. 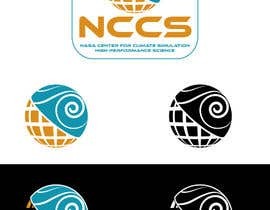 NASA also uses the NCCS systems to analyze large amounts of remote sensing data both from Earth-observing satellites and for creating high-resolution gravity maps of the moon. 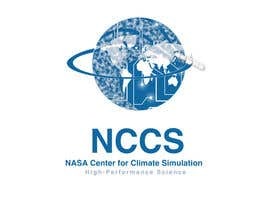 The NCCS is the only NASA high-performance facility specifically designed to support the specialized computational and data requirements for climate and weather research. 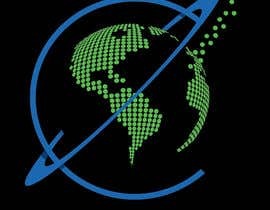 It is located at Goddard Space Flight Center (GSFC) in Greenbelt, Maryland, in close proximity to many of the NASA scientists who perform the advanced simulations. 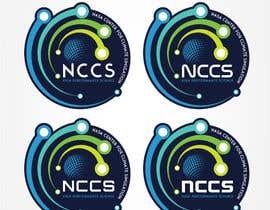 The primary goal of the NCCS is to shorten the time from question to answer and enable insight and discovery to happen more rapidly. 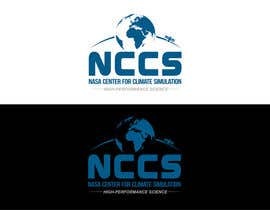 The NCCS is looking for graphics that identify with its core services of providing high-performance computing and storage and the NASA climate and weather applications they support. 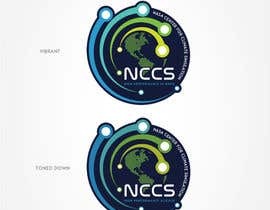 The graphics will be used to uniquely identify the NCCS on media such as websites, presentations, documents, letterheads, t-shirts, stickers, etc. The graphics are to include an icon and a patch incorporating that icon. 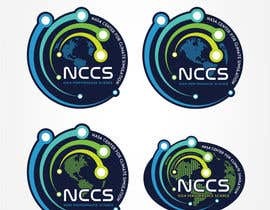 Icon: The letters “NCCS” or some artistic rendition of these letters may appear in the icon, but it is not a requirement. The icon must be delivered both in black and white form and in color form using 4 colors or less of your choice; it is preferable to have as few colors as possible. Do not use gradients, as they will not be easily reproduced across all media. Submissions must show the icon on both white & black backgrounds, and all colors used must be identified. 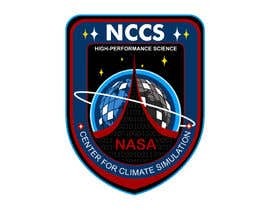 Patch: In addition to the icon, the patch must include “NASA Center for Climate Simulation,” “NCCS,” and “High-Performance Science.” The shape is flexible and could take the form of a circle, an oval, a triangle, a rectangle, etc. The patch must use the same 4 colors as the icon. 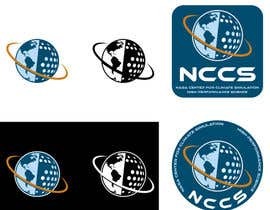 Submissions must show the patch on both white & black backgrounds, and all colors used must be identified. Source File: All original vector source files of the design. Files should be created in Adobe Illustrator or Inkscape and saved as layered AI or EPS files. Note that PSDs saved as EPS files are not true vector/scalable files and will not be accepted. All non-standard Windows/Apple fonts must be listed in a text file within your Submission Zip file. Include the name of the font and a link to where it can be downloaded/purchased. DO NOT include any font files in your submission or source files. Preview Image: Please create your graphics preview images as 1024x1024 JPG or PNG files in RGB color mode at 72dpi. Show your graphics on BOTH a black and a white background. Stock Imagery: Stock imagery is not allowed in this contest, and all elements of the graphics must be of original design. Congrats to jonAtom008.. great work! Congratulations jonAtom008! We really appreciated everyone's hard work on this contest. There were some really great submissions and it was difficult to chose from all of the great work. Thank you! It's all about doing an excellent drawing?? Hello, please check entries #241 #231 #229 #220 #217 and provide feedback if possible. Thank you for the opportunity. Thank you for everyone's participation in this contest. We are reviewing all of the submissions and we will be making our selection soon. Thank you. We waiting for your decision. question will extend the time of the contest for the design, but could at least upload a sketch picture ?? Good Evening! Please check #165 . Thank you in advance for your feedback. This is my first time using Freelancer. Please check my Entry #190 . Thanks. Please check the entry #180 . Thank you. check #152 please , tanks . Hello! Please check and rate entry #150 #151 and feedback if it possible. Thank you for all of your participation and comments! We are always glad when we can involve the public in our creative processes. We are always pleased to find so many talented individuals who are passionate about NASA and our mission! Bravo NASA, if you do not have funds should we make a contributions? Not sure what the big commotion is all about! Sometimes, money isn't everything! 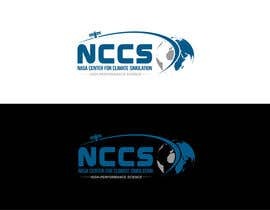 Wouldn't it be so cool just to say that NASA, or NCCS has picked your design out of so many others?! True satisfaction comes from within... not materialistic form as money. Sorry that's just my thoughts. 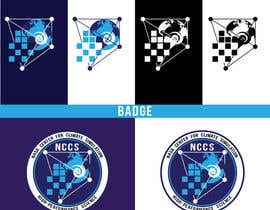 Keeping in mind of the true nature NCCS is built around, not sure if I could do a simplistic icon and logo patch. A poster image, my creative juices are exploding with ideas! 200$ me lo pagan por hacer un intro de 4seg que me tardo en hacer 30 min. que miserables son de verdad, y me perdonan todo eso por tan poco??? ?